For communities across the U.S., the wrap-up of summer means the start of school, crisper and cooler air, and college football season. For Southern and East Coast states, this time of year is also marked by the looming threats of hurricane season. Already this season, we’ve seen two significant hurricanes, Harvey and Irma, bring destruction to coastal islands and Southern communities. A natural disaster that damages homes, businesses, and local infrastructure can be an inconvenience at best and a devastating set-back at worst for communities that are working hard to improve outcomes for their residents. 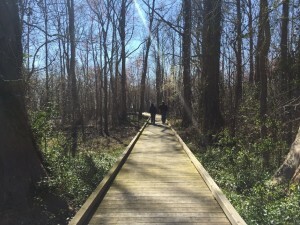 When we consider what it takes to create Southern places characterized by belonging, thriving, and contributing, we know it’s important for communities to be forward-thinking about equitable growth and bright spots of opportunity—and we’re reminded that environmental resiliency is crucial to these efforts. We’ll be exploring the need for this kind of resilience in Southern communities. We’ll talk about the risks posed by climate change, who is particularly vulnerable to these risks, and why this matters for communities that seek to propel their residents toward higher levels of upward economic mobility. Today, we begin with an examination of 17 northeastern North Carolina counties that know all too well the frustrations and obstacles brought on by environmental vulnerability. These counties—Beaufort, Bertie, Camden, Carteret, Chowan, Craven, Currituck, Dare, Gates, Hertford, Hyde, Martin, Pamlico, Pasquotank, Perquimans, Tyrrell, and Washington—comprise North Carolina’s “Inner Banks,” part of the focus region of North Carolina Land of Water (NC LOW). NC LOW is a nonprofit organization supporting sustainable development of northeastern North Carolina’s natural resources and cultural history. While they focus on eastern parts of the state including the Outer Banks, NC LOW recently commissioned MDC to conduct a data scan of the state’s Inner Banks to examine educational attainment, poverty, upward economic mobility, availability of living-wage employment, and emerging industries. 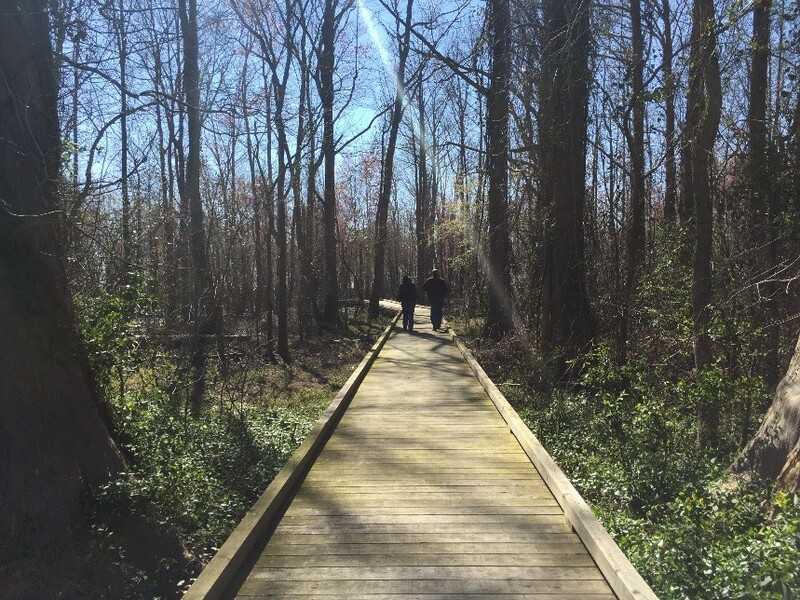 MDC visited some of these counties’ lovely natural spaces and spoke with local business owners who are dependent on the tourist economy driven by the region’s natural assets. It’s not surprising that many entrepreneurs in the Northeastern part of the state have invested in the tourism industry, hunting and fishing services, and restaurants that welcome tourists. For rural communities close to the water and characterized by unique ecosystems, tourism can revitalize towns and turn communities into centers of celebration and festivities, as Chowan County has seen in the small town of Edenton. In fact, NC LOW would like to see local leaders in government and economic development place their bets even more on the ecotourism industry, rather than recruit industries that have the potential to harm the area’s natural resources. 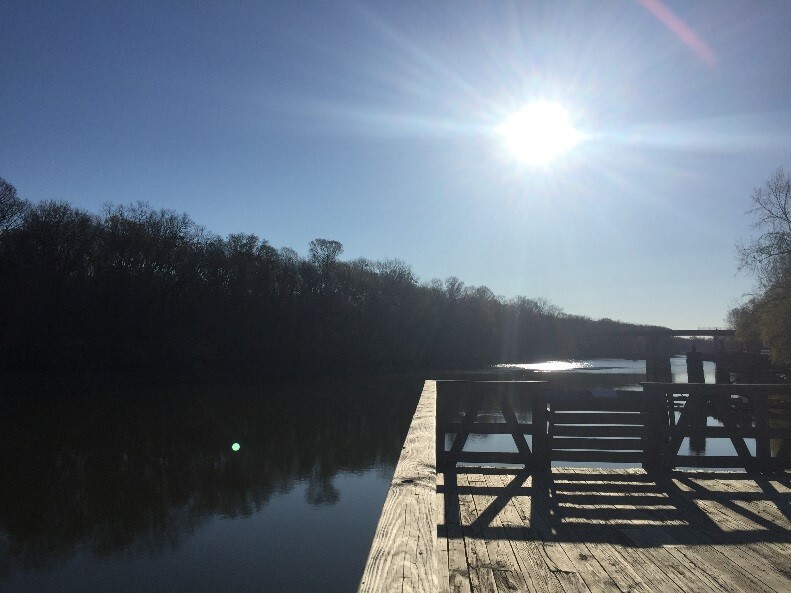 According to Dr. Stanley Riggs, the Chair of the Board of Directors for NC LOW, in the past few years a new generation of young people returned to these counties with aspirations of starting guide services in the unique swamps and waters of the Roanoke River and Albemarle-Pamlico sounds. However, the localities hadn’t yet invested in the infrastructure needed to make this sector robust. Since then, some municipalities have built camping platforms, boat ramps, new parks, and other features that undergird the ecotourism industry. For this economic development strategy to work, however, communities in Northeastern NC need to have environmental resiliency: decreased vulnerability to natural disasters and other forces that could harm the area’s natural resources. Last year’s hurricane season provides a case study of the damaging effects natural disasters can bring to local economies. In 2016 alone, Windsor, a small town in Bertie County, saw 10 to 20 feet of flooding in some areas three times over the course of the hurricane season, with Hurricane Matthew doling out particularly devastating effects on the heels of previous floods. Local business owners we surveyed referenced the area’s vulnerability to natural disasters as they discussed the challenges of having a brick-and-mortar business. One Windsor restaurant transitioned to a food truck after repeated flooding; the state’s FEMA policy covers homes, but not businesses. While this adaptation has been an exciting new experience and challenge for the business owners, closing their restaurant meant laying off many employees whom they valued and who, in turn, surely valued that source of income. Only three percent of those born into the lowest income quintile in the area will make it to the top earnings bracket as adults, according to the Equality of Opportunity Project. Conversely, 72 percent of these individuals will stay in either the lowest or second-lowest earnings bracket as adults. Only 47 percent of the white population and 27 percent of the black population have at least some education beyond high school. These factors alone create a discouraging situation for economic resilience—add recurring natural disasters to the mix, and it’s clear that communities like Bertie County, in which 62 percent of the population is black and 35 percent is white, are particularly at risk for the crippling effects of natural disasters, especially as those events are projected to occur with increasing frequency and strength. We sometimes think about climate change affecting endangered species or making snow a little less likely here in the South. While scientists warn of the likelihood of both scenarios, it’s worth considering the economic dangers of climate change. Current global practices, such as relying heavily on fossil fuels, contribute to increasing atmospheric temperature, which may explain in part why we’re seeing such intense storms that relentlessly hit communities in the South. As we know, many of these communities are vulnerable due to proximity to water, low-lying lands, higher rates of poverty, lower levels of educational attainment, and policies that don’t adequately support recovery. So what can communities like Bertie County—and its neighboring Inner Banks counties—do to increase environmental resiliency in its area, particularly when ecotourism seems like a promising economic development strategy? “Resiliency” doesn’t mean that a community is utterly invincible; it’s about being prepared so that recovery from unexpected set-backs like natural disasters or economic recessions can be as smooth and strong as possible. Resiliency can be built at local or state levels, for example, by creating recovery policies that more accurately reflect the realities of flooding or by ensuring that local manufacturers and other industries don’t contribute to the degradation of natural resources. Forward-thinking leaders in education and employment also can help build community resiliency by providing education and employment opportunities that lead to credentials and living-wage employment, so that residents can acquire the savings and safety net needed to literally “weather” life’s storms. In our next State of the South blog on climate change in the South, we’ll examine an effect of natural disasters that doesn’t discriminate between rural and metro areas: the threats to healthcare centers and the patients they serve. Stay tuned, and from all of us here at MDC and State of the South, we extend our sincere condolences and hopes for recovery to those affected by Hurricanes Harvey and Irma. To support local and national recovery efforts, you can donate to one or more of the many organizations assisting victims and their families in Houston and areas affected by Irma and Maria. Today is the first post from our 2017-18 Autry Fellow, Rishi Jaswaney. We’re happy to have him at MDC and writing for the State of the South blog! We’ve all felt it before. That sinking feeling before a big exam, an interview, or when your favorite character on Game of Thrones is “removed from casting” in the throes of battle. Stress. Side-effects may include: nausea, indigestion, headaches and excessive perspiration. In limited amounts, stress can motivate us to pursue our personal and professional goals. As stressors pass in and out of our lives, the stress hormone, cortisol, naturally fluctuates, but as challenges persist, cortisol levels remain elevated. When stress is a chronic condition, it can be linked to anxiety, depression, and other developmental and psychological issues. Research documenting income-based patterns in health outcomes—including disparities in who is more likely to experience chronic stress—raises new questions regarding the state of health equity in our nation. The daily economic, educational, and social challenges facing those in poverty can create barriers to health services and lead to poorer health outcomes. 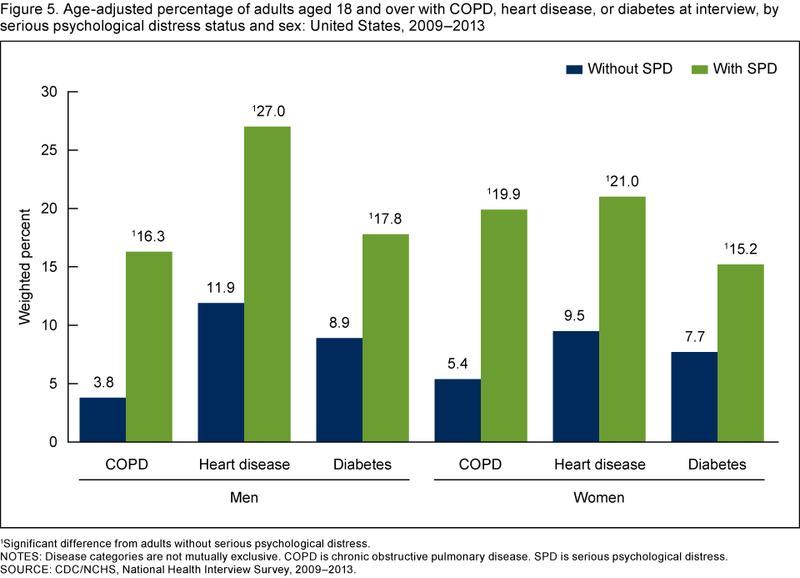 This idea is captured in the Social Determinants of Health framework, which The World Health Organization (WHO) has defined as the “the conditions in which people are born, grow, live, work and age.” The general argument is that people in high poverty communities are more susceptible to certain illnesses, have less access to health care providers, and are frequently forced to delay care or medicine for financial reasons. The proximity of clinics, public transportation options, and the quality of food vendors, all affect one’s ability to address health concerns and seek care. 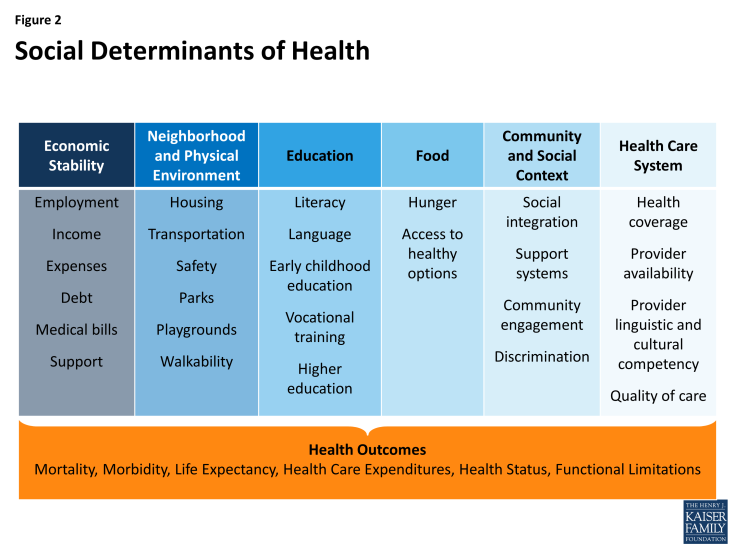 As the social determinants of health concept has taken hold, organizations like Kaiser Family Foundation have adopted more nuanced definitions, incorporating more detailed categories, as shown below. The WHO and others have emphasized how money, power, and the distribution of resources (through institutional decisions and policy implementation) shape community conditions and drive health outcomes. In places where education, employment, and accessibility are falling behind national averages, health outcomes are trailing along with them. For example, in North Carolina, counties with the lowest rates of postsecondary attainment and employment (Robeson and Warren counties) also rank poorly on measures of low birthweight, obesity, and diabetes prevalence. Counties with the highest rates of postsecondary attainment and employment (Wake and Orange counties) have the lowest rates of these indicators. If education and employment are key drivers of upward economic mobility, then people must be healthy enough to take advantage of these opportunities. There are many narratives about educational attainment as a predictor of health outcomes. Formal education often provides foundational principles of nutrition, healthy behaviors, and general health literacy. Education is also an avenue for insurance benefits through school plans or future employment opportunities. Lastly, education provides individuals with an intangible set of resources such as social networks, norms, and relationships that can cultivate healthy practices. It is important to recognize that poorer health outcomes in high poverty areas have been driven by policy that marginalizes low-income communities. The provisions of the Affordable Care Act made strides in addressing issues of healthcare access, but in order to holistically address health equity, we must also consider the underlying environmental, social, and economic factors that enable good health. Improving preventative initiatives, health education, and access to nutritious foods are a few measures that could begin to eliminate these disparities, improve public health, and encourage, rather than hinder, economic mobility. Throughout my Autry year with MDC, I hope to continue shedding light on the social determinants of health that persistently marginalize low-income communities. Stay tuned for more posts on how these issues play out in Southern communities! 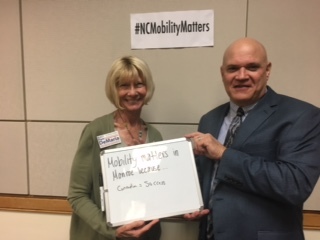 These Monroe community work session participants say #NCMobilityMatters because connection = success! Earlier this year, MDC and the John M. Belk Endowment released a report examining economic mobility across North Carolina and how communities are responding to recent Equality of Opportunity research showing that intergenerational poverty is particularly dire in the South compared to other U.S. regions. We’ve documented several community work sessions discussing the findings from that report here on the blog. As we crossed all of North Carolina’s prosperity zones, we saw unique challenges facing rural and metro areas, but we also witnessed similarities. Take the community work sessions that were held in Monroe and Wilkesboro. Monroe is a growing city, part of Union County (which has a significant rural population), on the edge of the Charlotte metropolis. Wilkes County is a rural county on the edge of the Blue Ridge Mountains, with its population spread across 757 square miles. But in both places, we were hosted by a North Carolina community college and the local Chamber of Commerce served as a key partner. One place is trying to find a way to restore or reimagine a manufacturing economy; the other is looking for ways to encourage participation in the advanced manufacturing opportunities that exist. Both are grappling with limited public transportation systems and affordable housing options that would ease the burden on families trying to make ends meet and get ahead. If you’ve been keeping up with us here on the State of the South blog, you probably know that we’ve been traveling across North Carolina since August facilitating community work sessions with the John M. Belk Endowment and local institutional partners. These work sessions were sparked by a report that MDC and the Belk Endowment released earlier this year titled North Carolina’s Economic Imperative: Building an Infrastructure of Opportunity, examining how North Carolina reflects recent research showing that the South has the lowest rates of economic mobility for young people in the nation. To find out how these data play out in real places in North Carolina, we talked with leaders from eight communities in the state about how residents and institutions are confronting slim odds for upward mobility. Now we’re reconvening those same leaders and more to reflect on the data as a cross-sector group and to lay the groundwork for planning next steps. 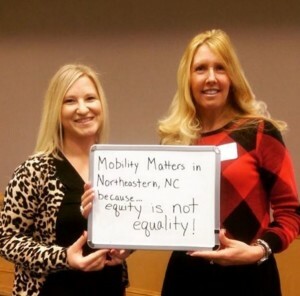 Lori Preast and Rachel Bridgers (Pitt Community College) share why mobility matters to them. In mid-November, two MDC staff members had the privilege of traveling to the eastern part of the state to hold two of these work sessions: one in Brunswick County, including leaders from New Hanover County; and one in Beaufort County, including leaders from Pitt and Martin counties, as well. Though distinct in geography and history, these regions in the southern and northern parts of the state have a lot in common—people in leadership who care about their community and are striving for deeper cross-sector coordination; a mixture of urban and rural areas, each with unique needs; and strong higher education institutions that are determined to expand access to all residents in their service areas. Those of us at MDC who had the opportunity to speak with a variety of leaders in both communities couldn’t help but notice a similar challenge, followed by a similar proclamation, in both regions: Fragmented work makes for fragmented funding, which stalls strategic investment that could move a community forward as a collective group. Both sets of leaders bemoaned that all too often, groups of leaders get together, each say their bit about the work they’re doing, and then go back to their corners without having really changed much about their way of working. Even in communities where there is some cross-over, it can be difficult to create deep collaboration that reaches every system or institution at every level. In fact, a participant at the Brunswick County session raised an issue with the word “collaboration” itself: one definition of the word refers to how an enemy might gather information from their opposing side. Though malicious intent doesn’t apply, this sense of working on separate “teams” is all too common as communities strive in silos to achieve change and growth. But both of these work sessions were different. Inspired by sobering data showing that nearly 70 percent of children born into poverty in both the southeast and northeast regions in North Carolina will stay at the very bottom or rise only one income quintile as adults, leaders from these eastern counties were ready to put their heads together to find a new way of pooling their resources. By aligning their efforts and working to fill gaps in resources as a community team, in which all players are working towards the same goal, these regions can start to build an infrastructure of opportunity in which the systems and factors that influence a person’s path to success are strengthened and aligned to make sure no one sees inequitable barriers to opportunity. Big thanks to the caring and insightful leaders from New Hanover, Brunswick, Pitt, Martin, and Beaufort counties for two great conversations this November on why #NCMobilityMatters! It’s hard to believe we only have on more community work session to go—we’ll see you Dec. 13, Fayetteville! High school students piled out of a school bus while another student came out of his car in a suit. From my first few minutes on campus I could tell that Vance-Granville Community College was a place of eagerness. Inside the Civic Center was no different: leaders from Vance, Granville, Warren, Franklin, were all gathered and eager to continue making positive changes in their communities. These leaders represented nonprofit organizations, economic development, the K-12 public education system, higher education, and philanthropy with the ultimate goal of addressing the challenges of economic mobility in their respective counties. And thanks to the wonders of technology, we had a similar group from Nash County gathered to participate at Nash Community College. These counties are all part of the North Central Prosperity Zone (an NC Department of Commerce classification). Earlier this year, MDC and the John M. Belk Endowment released a report examining economic mobility across North Carolina. During a convening on October 17, we had the chance to see how communities are responding to recent Equality of Opportunity research showing that upward economic mobility is particularly low in the South compared to other U.S. regions. 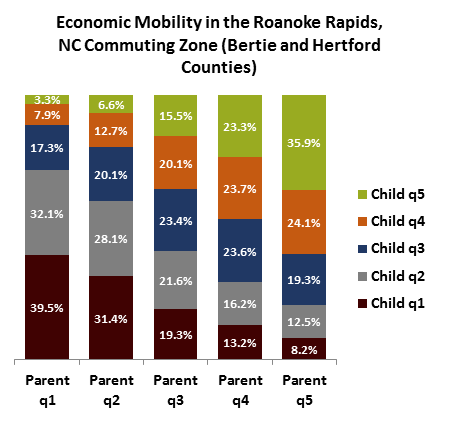 Researchers looked at economic mobility in “commuting zones” (regional economies that share a labor force and sometimes cross county or state lines). The three commuting zones that encompass these counties are Wilson, Henderson, and Raleigh. Out of 729 zones they rank 13th, 23rd, and 85th, respectively, with #1 being the least mobile. 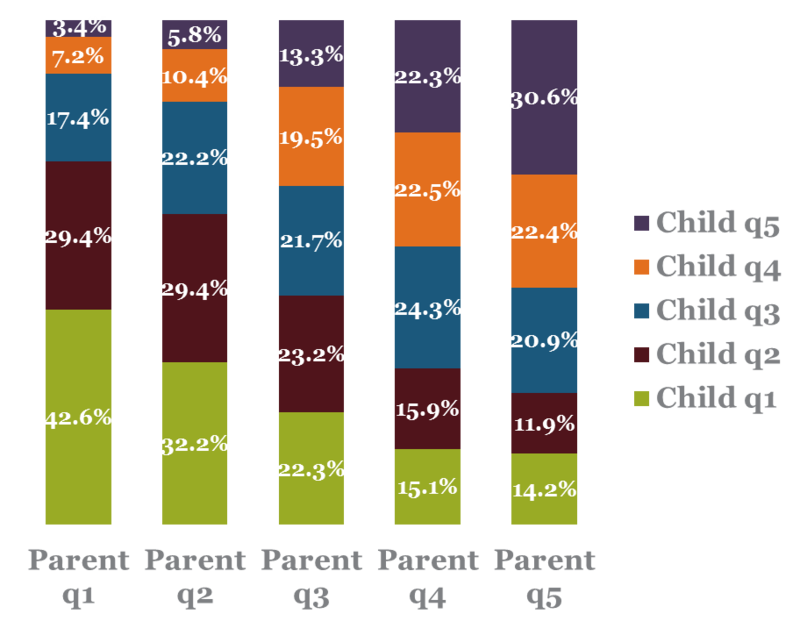 In the Henderson commuting zone (Vance and Warren counties), 38 percent of children born to parents in the bottom income quintile will stay there as adults. Only 26 percent will rise to the middle or upper middle income quintile; a meager 4 percent have a chance to make it to the highest income quintile. The figures are similar in the Wilson and Raleigh commuting zones. In the face of these bleak data emerged that sense of eagerness I witnessed in the parking lot. Attendees reflected on the idea of the American Dream–and The Jefferson’s theme song–and how that could be a reality for their residents. Leaders were passionate in sharing both strengths and challenges their communities faced. Community leaders were well-aware of all of the outstanding resources and programs that were helping residents move on up, including: a brand new performing arts center, a strong Chamber of Commerce, a committed community college, internship, CTE and STEM programs for high schoolers, and youth leadership for grades 8-10 that connects students with small business opportunities. Equally important was their cognizance of forces that were impeding residents’ upward mobility such as limited industry participation, substance abuse, limited role models for youth, teens balancing work and school, higher standards for entry-level positions for higher paying jobs, and discrepancies in communication about opportunities available to different youth. With the knowledge of what is working for and against their mobility odds, leaders put their minds together to engineer ways to build an infrastructure of opportunity (or the systemic factors that can be aligned to work more effectively in favor of expanding education and living-wage prospects for residents). A theme revolving around youth, innovation, and inclusion quickly emerged. Leaders in these counties plan on strengthening STEM programs, advertising the “Vance Guarantee” and CTE to middle school students, emphasizing “trauma health” without shame, building on youth’s interest in technology, focusing on those furthest from opportunity, and learning from the past. Creating an infrastructure of opportunity is made possible when communities collectively digest data, understand the challenge, engage in dialogue about the set of conditions working for and against their shared goals for mobility, and respond accordingly and collaboratively. These counties are off to a good start!